Typically glossy black but may also be dark brown to light brown. black widows are identified by red hourglass markings on the underside of their abdomens. Although black widow spiders are named for the female's propensity to kill the male after mating, this behavior rarely occurs outside of captivity. It is the females that are capable of injecting venom. In extreme cases, the venom of the black widow spider severely weakens the nerves and the brain, leading to impaired breathing, body aches and nausea. Black widow spiders favor dark, secluded areas such as crevices and woodpiles. They construct irregular, scaffold-type webs usually near the ground level. These webs are almost always constructed in a protected site such as among items piled together, beneath boards, in firewood, and between boxes. 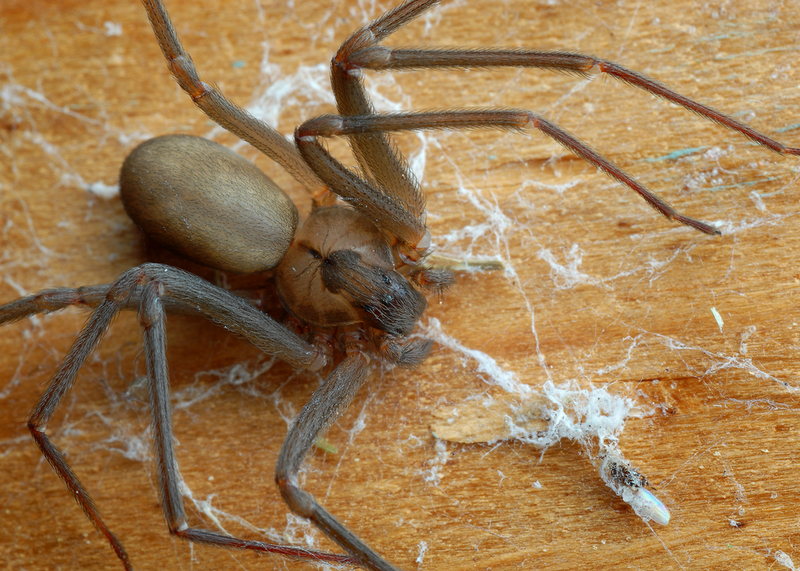 Brown recluse spiders are shy and rarely bite unless provoked. Bites sometimes go unnoticed until effects become obvious a few hours later. A pale blister appears first, this wound may exhibit a telltale bull's eye pattern of concentric, blue, white and red circles . Fever, convulsions, nausea and weakness set in within one day. If untreated, the early blister may become a lesion, resulting in necrosis and severe nerve damage. Brown recluse spiders dwell in dark, sheltered places and can be found in homes, barns and basements, as well as outdoor habitats. Webs tend to appear disorganized and are built most commonly near ground level. The spider is a hunter, so the web is not intended to catch prey. Color varies, but the most common species is black and yellow. It’s body is up to one inch long or larger and has a leg span of up to three inches. Garden spiders spin very large, flat, orb-shaped webs across open spaces between tree and shrub branches. The webs will be located along natural flight paths for flying insects. This spider sits in the center of the web, head facing downward, waiting for an unwary insect to fly into its web. As their name suggests, they are found outdoors and in gardens. Garden spiders are not aggressive and are more likely to retreat from than attack humans. However, in cases of extreme provocation, garden spiders may bite. Their bites are harmless to humans. Color ranges from black to gray, though some are brightly colored or possess bright markings. Most tend to exhibit dull coloration, although the bodies of some males may glisten. They are recognized by their stout, robust bodies, quick movements, and remarkable feats of jumping. These spiders are capable of leaping as high as 25 times their own size and because of this, are extremely capable predators. Jumping spiders also possess impressive eyesight. Jumping spiders are among the spiders more commonly seen around homes because they are active during the day. Tarantulas are black or brown in color and have hairy bodies. They can measure up to 13 inches in length. 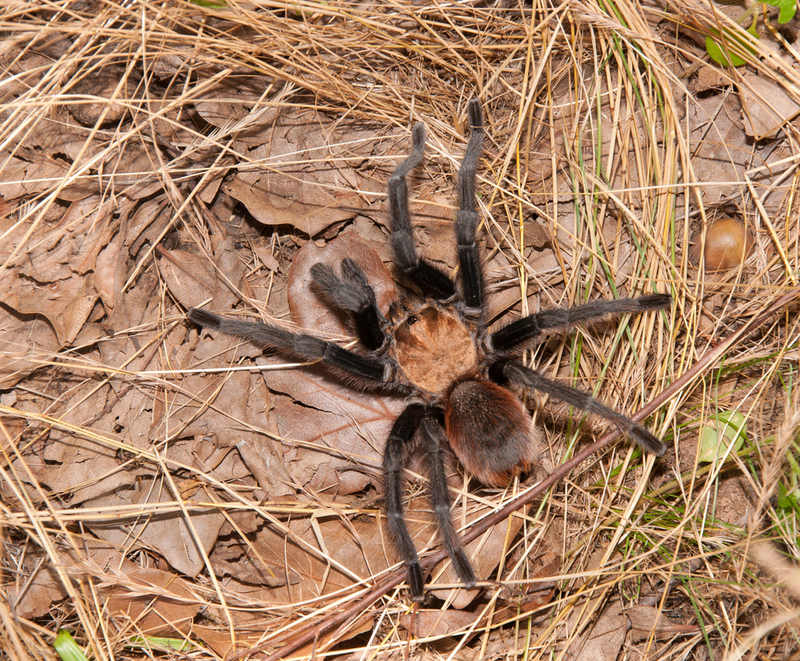 Although frightening in appearance, tarantulas are only aggressive when provoked. All tarantulas undergo molting, during which they shed their exoskeletons in order to grow. Tarantulas are not web-spinning spiders. Most dwell in burrows, while some live in arboreal retreats. They rarely venture far from this burrow, coming out only at night to feed. Most are brown although some may appear black. Wolf spiders are hairy and can grow up to five inches in leg span. Quick moving and relatively large in size, wolf spiders inspire fear when they are found within human dwellings. A wolf spider's diet typically consists of insects and other small spiders. They are also sometimes confused for tarantulas, but their bites are extremely rare and are not known to be deadly. 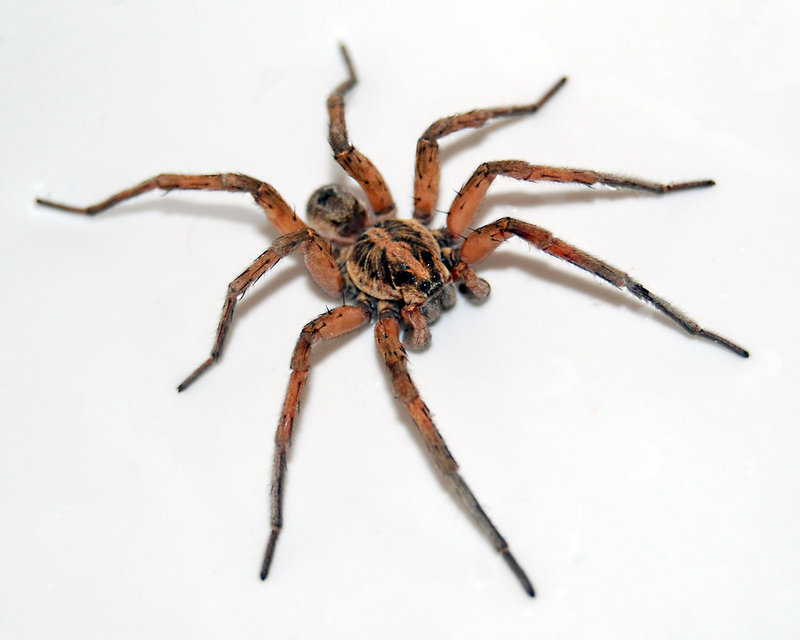 However, some individuals may experience allergic reactions to wolf spider venom. Symptoms range from mild skin irritation to muscle pain, fever, vomiting and nausea. The skin surrounding the entry wound may turn black. Most species are burrowers that live underground, although some specimens can be seen traveling aboveground in leaf litter, on lawns and in gardens. Most wolf spiders are also nocturnal, although some do hunt in the morning.